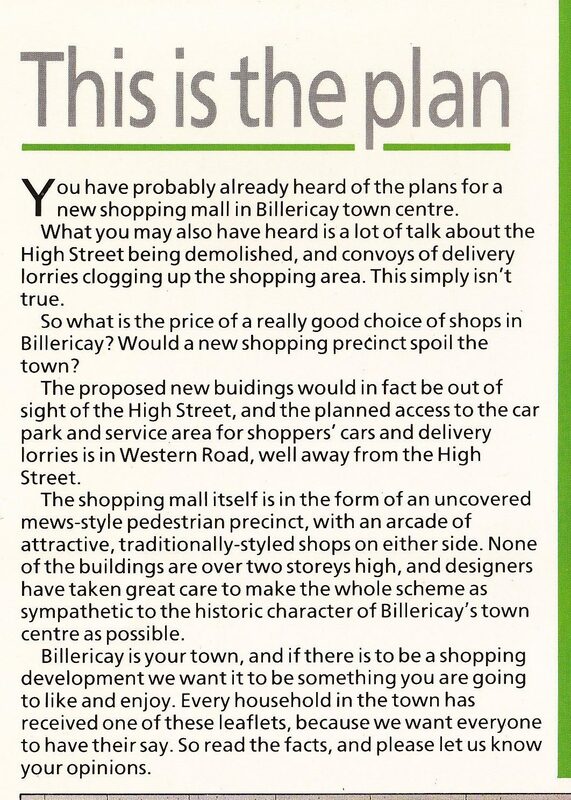 In the late 1980s proposals were made to increase the number of shops in Billericay by developing some of the area behind the shops between the High Street and Western Road. Sme of the area concerned is the High Street Car Park, but it also included land behind Lloyds Bank, now housing. The development area would have been behind the shops all the way from where Iceland now stands to behind Anthony menswear. The development area would have included the car park, the housing on Rose Lane, the housing behind Barclays and much of the area now occupied by housing in St. James Mews and Cowbridge Court. 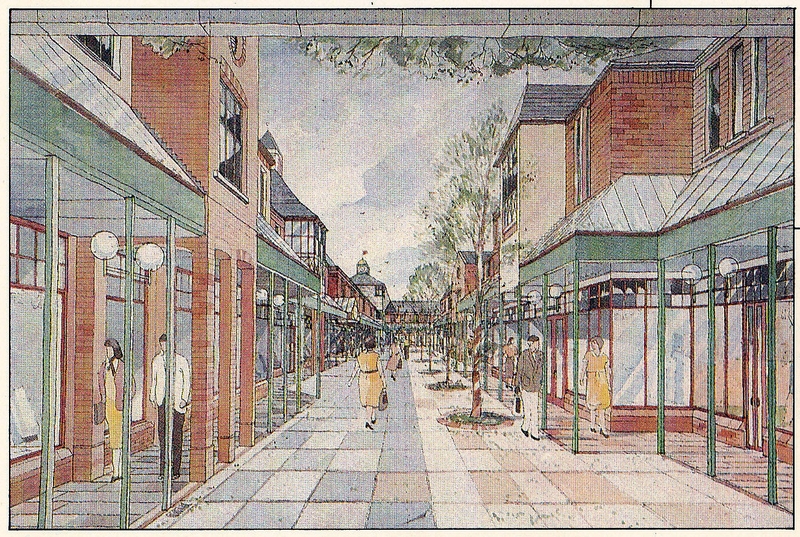 An artists impression of how the arcade would look. Countryside properties put forward an ambitious plan to build 20 shops a supermarket and parking for 480 cars together with a small office block. 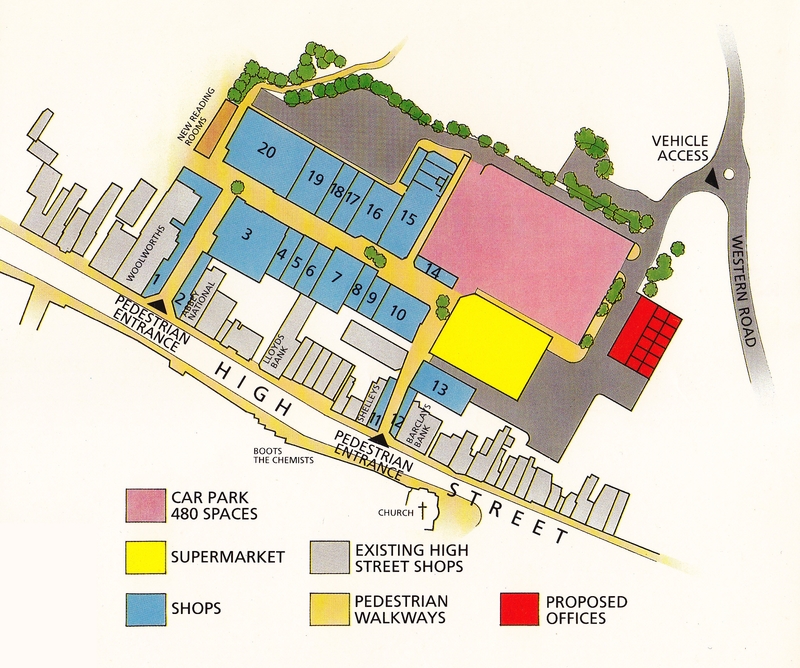 Map of the High Street area showing the access points and the changes to the High Street that would need to be made. 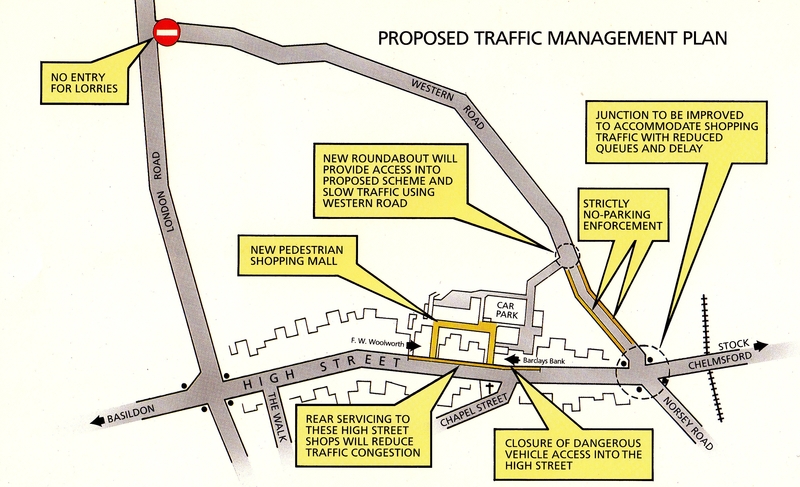 With hindsight it is fortunate that this ambitious plan never got any further than the drawing board as we may have ended up today with lots of empty shops. The developers even suggested that Marks and Spencer were being lined up for unit 20 and we all know what would have happened now as that retailer, among others, reins in the amount of retail space they have.